Angela is a serial entrepreneur. As a teenager, Angela started her own construction cleaning company, being so successful at it, she had to hire her own 'cleaning crew', and created enough demand to move into the commercial sector. Angela is one of those professional agents that has nearly done it all. Licensed since 1999, she has created a successful Real Estate practice, became a respected top ... Maggiori informazioni mentor to other agents and more. How did she survive the 2008 Real Estate crash? Tune in today to find out. 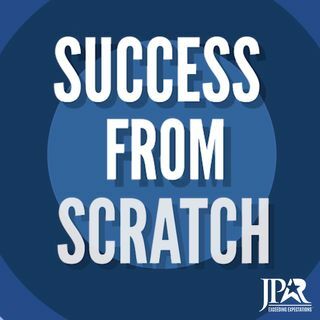 Now available on the go: listen to inspirational stories on all podcast platforms including Apple Podcasts, Google Play, Spotify, just search 'Success from Scratch' anywhere you listen to your favorite podcasts.